You want a cheap cell phone plan. The problem is, you don’t know where to start. We did the research for you and found the cheapest cell phone plans: traditional plans from the likes of Sprint and T-Mobile, prepaid plans and plans with and without data. The plans we recommend here are the cheapest, but they might not be the best value for you. If you need more than 1GB of data per month, check out our picks for best cell phone plans and best prepaid cell phone plans, which emphasize value over having the absolute lowest price. If you’re on a government program such as Medicaid, Supplemental Security Income or food stamps/SNAP, you might qualify for free or subsidized plans from various carriers via the federal Lifeline Program. Ting and Republic are cheapest if you want just a little data, but you might find a better value elsewhere if you need a few gigabytes. At a glance: Unlimited minutes and text messages, plus 1GB of data. Not available on iPhones. 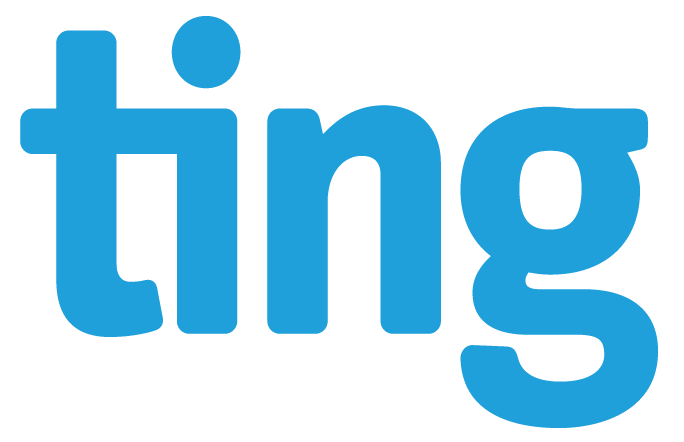 Ting’s model is unique: You pay for the minutes, text messages and data you use. The $15-per-month charge assumes you use some of each but not more than 100 minutes, 100 text messages and 100MB of data. You can check out its rates here. Republic’s plans start at $15 for unlimited talk, text and Wi-Fi. Data is an extra $5 per gigabyte. All calls, texts and data usage occur over available Wi-Fi networks. If there aren’t any, the carrier defaults to Sprint’s or T-Mobile’s cellular network. The network you’ll use depends on your phone. Traditional plans are pricier than prepaid ones, but they do come with some advantages. You can get the latest phones and pay for them in installments. You also get priority access to a carrier’s network — a difference from prepaid plans, even with the four largest carriers. Sprint’s 2GB plans includes unlimited 2G data, so you won’t be charged an overage if you use more than what’s included in your plan. You will, however, experience much slower speeds for the remainder of your billing cycle. U.S. Cellular operates in 23 states, and in some of those states, service is available in only a few counties. If you do live in an area where U.S. Cellular is available, you’ll enjoy nationwide coverage thanks to the carrier’s roaming agreements. Data usage outside of your home area is capped at 400MB; after that, your speeds slow significantly. No data? No problem. The cheapest cell phone plans on the market come with just a handful of minutes and text messages. Want fewer minutes? Consider a pay-as-you-go plan. Want more minutes? See the other cheap plans listed below. With Ting, you pay for what you use, and minutes and texts are billed separately. The $12 monthly fee assumes that you place or receive at least one call and send or receive at least one text during the billing cycle. Use more than 100 minutes or 100 texts and you’ll pay more than $12. Use nothing and you’ll pay just the $6 monthly base charge, plus taxes and fees. True pay-as-you-go plans are hard to find these days, but they’re an excellent option if you go weeks or even months without using your cell phone. One thing to keep in mind: You’ll need to add money to your account every so often to keep it active. On T-Mobile’s pay-as-you-go plan, incoming calls and texts count toward your 30-minute maximum, and any usage beyond that is billed at 10 cents per minute or text. On AT&T’s pay-as-you-go plan, you pay the $2 charge only if you use your phone that day. Checking your voicemail from your cell phone counts as usage. We evaluated more than 200 cell phone plans offered by the following carriers: AT&T, Boost Mobile, Consumer Cellular, Cricket, GreatCall, Google’s Project Fi, MetroPCS, Net10, Republic Wireless, Sprint, Straight Talk, T-Mobile, Ting, Tracfone, Verizon Wireless and Virgin Mobile. Our picks for the cheapest cell phone plans were those with the lowest price. Other plans may offer a better value but have a higher monthly cost.